Fossil ferns. Two overlapping species. Pecopteris unita (main), and Pecopteris oreopteroides (Schlotheim), on lower right. Pennsylvanian. Locality unknown. 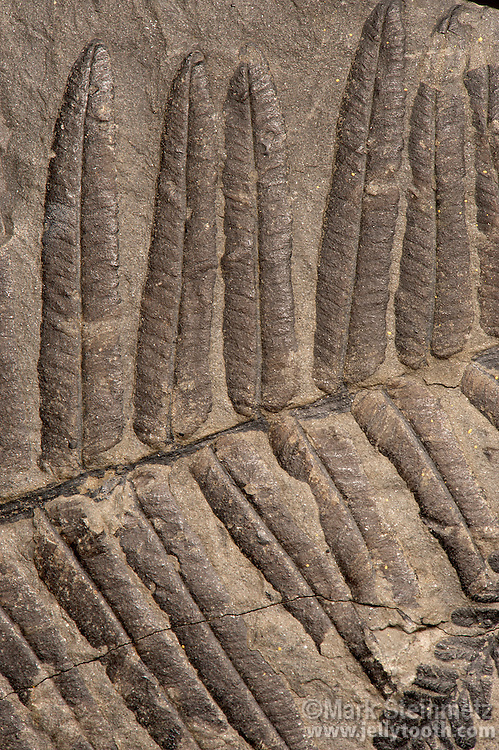 Pecopteris was an extensive form genus of ferns that flourished in the early Carboniferous period.